V is for Vintage | True story. Really. Something very exciting happened earlier this year in the world of vintage photography, historical research, and public access to really cool and important images. If, like me, you are fascinated with vintage images and vintage image making, or if you have any other reason to look back into our past, this is great news. Back in January, the New York Public Library announced that they were making over 180,000 high resolution, public domain digital images from their collection available to the public with easy access and no use restrictions. I could go on and on and on about how great this is and how many amazing things this collection includes, but the best thing is to point you here and tell you to have a good time. 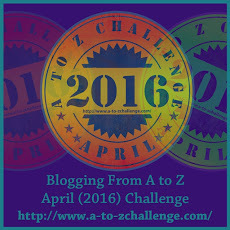 This entry was posted in Challenges, Images I love, Tools and tips and tagged #atozchallenge. Bookmark the permalink. Rock on, Anna, and all the Annas everywhere! Exactly! Thanks for coming by, James! That’s awesome news! I love vintage photographs. It is, and this is such a treasure trove! Thanks for coming by and commenting. That is an exciting announcement. You picked a great picture for the post too. Thanks! I really liked the color and the lines, and also what it represents. Thanks for coming by and commenting! Yes, and I’m so glad you liked it. Thanks for coming by and commenting! I remember this, but I’d forgotten. Thank you for reminding me! Pingback: Your Brain is Playing Tricks on You | True story. Really.